Best ATV Riding Gear - Full Review of Top Riding Gear Choices. 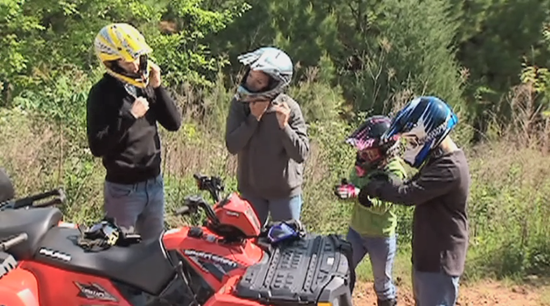 Basic ATV Riding Gear should include helmet, goggles, and gloves. The best choice in ATV/UTV riding gear depends a lot on what kind of riding you do. Generally, the faster you ride, the more protective gear you should wear. Another case would be those that ride in more extreme terrain with rocks, tree stumps, thick brush, etc. Regardless of the type of riding you do, we’ve found that the priority order of riding gear is still the same. Below is our list by order of importance. A helmet is the most essential piece of riding gear. You should never ride an ATV without one. 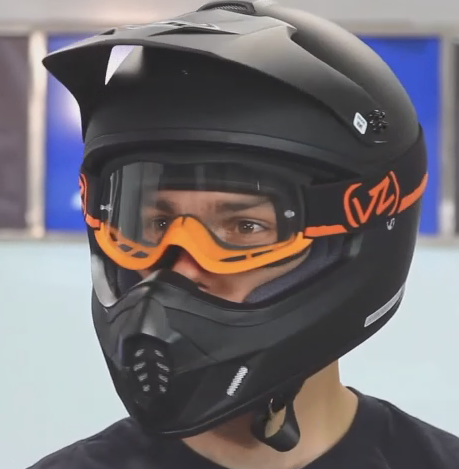 We like the Motocross Style with full face and mouth protection. If you have a UTV with a windsheild, an open face type would probably be OK.
Next to the helmet,eye protection would be most important on the list of riding gear. A pair with impact-resistant lenses and a snug fit to keep dust out are the best. If you do have an open face helmet, there are goggles with integrated face masks that offer some extra protection.For those that wear glasses, be sure to get the type made to fit over them. You’ll probably want to include a tinted lens for sunny days. Helmets with full face protection and a pair of snug goggles provide the best protection. 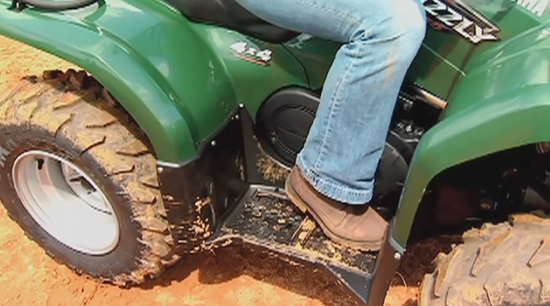 Your hands can be pretty vulnerable when riding an ATV. That's why we recommend a pair of sturdy gloves with good impact resistance around the fingers and back of the hand. For most casual Riders a good pair of over the ankle work boots will be fine. If you ride a sport style ATV or ride in areas that expose your lower legs to impact, A longer or Motocross style boot may be best. Those that favor riding in wet or swampy areas will benefit from a water resistant boot. Riding with soaking wet feet all day is not on our fun list. If you don’t have waterproof boots, treating what you do have with Scotchguard can work pretty well. Long pants and work boots work well with a utility style ATV. A long sleeve shirt or Jersey will protect your arms from scratches, scrapes and cuts from underbrush or other flying debris. Our rule of thumb is the less exposed skin the better. 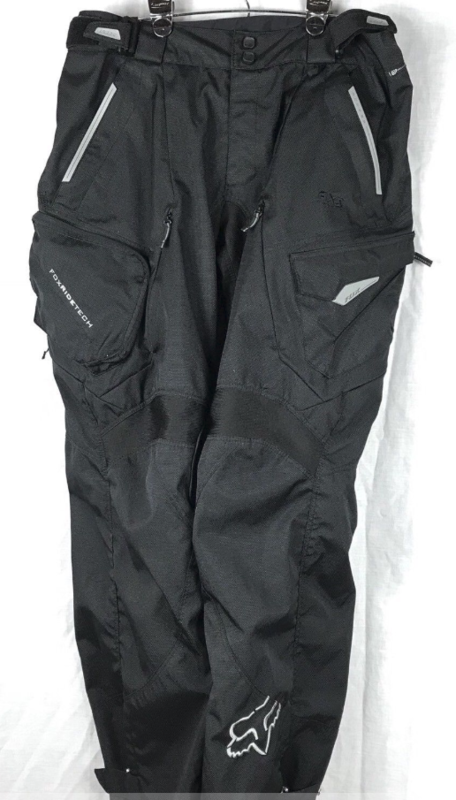 Most of us won't need high-dollar Motocross pants but a pair of tough full-length pants is a good idea. Dirt bike style pants offer better abrasion resistance. 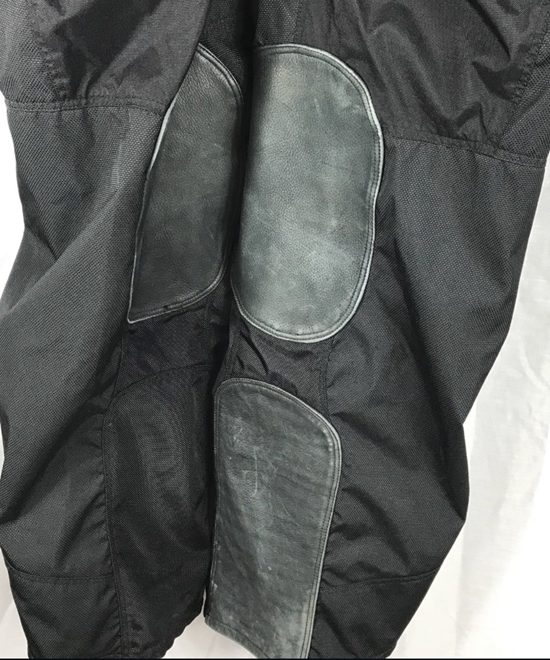 Motocross style pants offer extra padding. Even though these are called chest protectors, most of them also include back and upper arm protection. 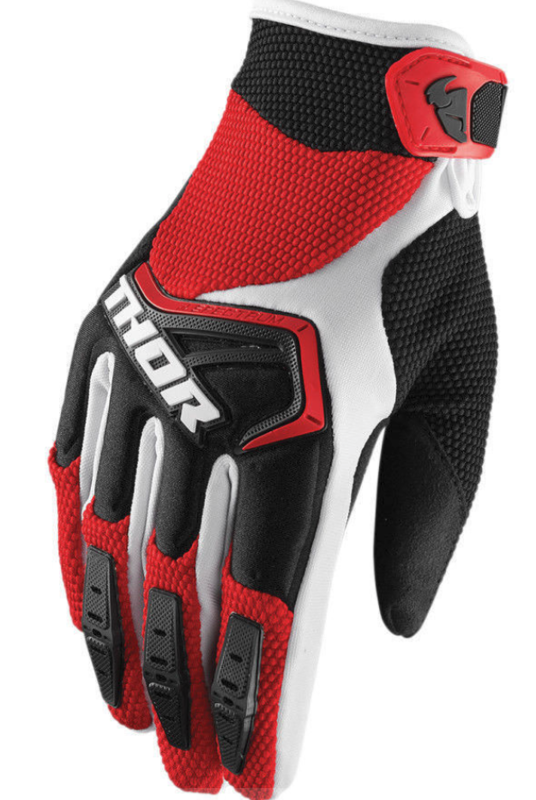 They provide extra protection from flying debris and getting slapped around by underbrush while you’re on the ATV. If you happen to come off, they can help soften the impact from whatever you land on. 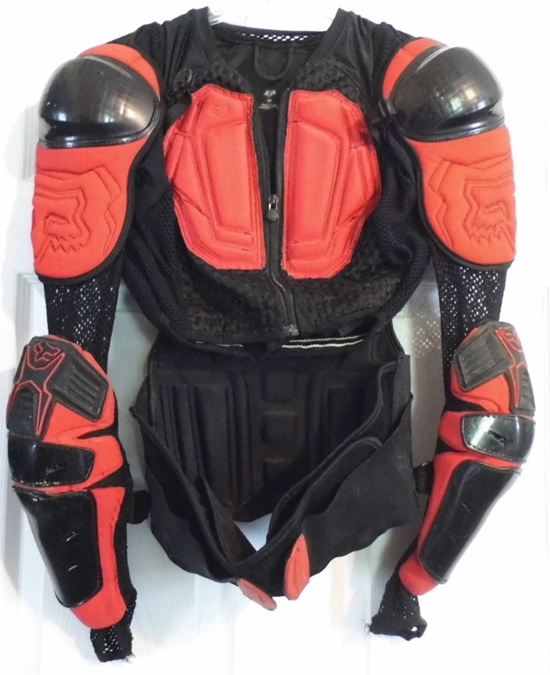 Chest protectors like this also have back, upper arm, and forearm protection. More of a foam padded collar. Keeps the helmet from being jammed into the collarbone and/or the neck from being overextended. If you ride in dry, dusty conditions, one of these will move way up your list of ATV riding gear! Several designs are available, from a heavy neoprene for cold weather to a flow through mesh for hot conditions. Most come with removable filters that can be replaced when they can’t be cleaned anymore. 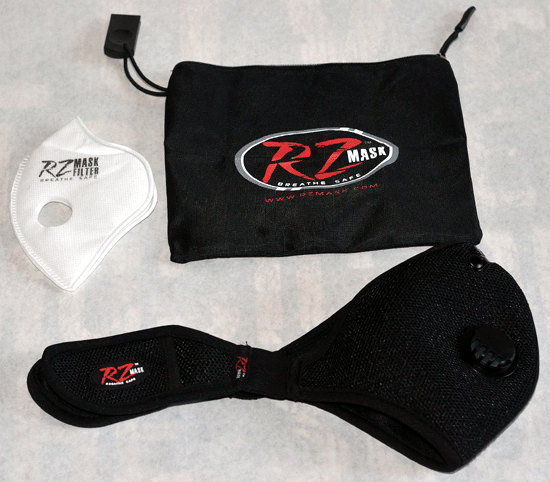 A good dust mask includes breathing vents and replaceable filters. As you can see, there are almost unlimited choices in riding gear. Our best advice is to always start with a helmet, then consider the type of riding you do to help with your choices for the rest of your ATV riding gear.